I tend to think of rhubarb as a fruit, even though, botanically, it’s a vegetable. I make the traditional crisps and crumbles and jams and pies with it. I usually toss it with sugar and cook it until it slumps into a puddle of its own juices (like in this rhubarb crumble). I tend to tame not only its tartness but also its fibrous, crunchy texture. Sometimes, like in this rhubarb syrup or this rhubarb pink lemonade, I strain out the texture completely. That’s all well and good. And I don’t think I’ll stop using rhubarb in those ways anytime soon. I mean, I have a jar of rhubarb compote in the fridge that I’ve been stirring into yogurt almost every morning for the last week. 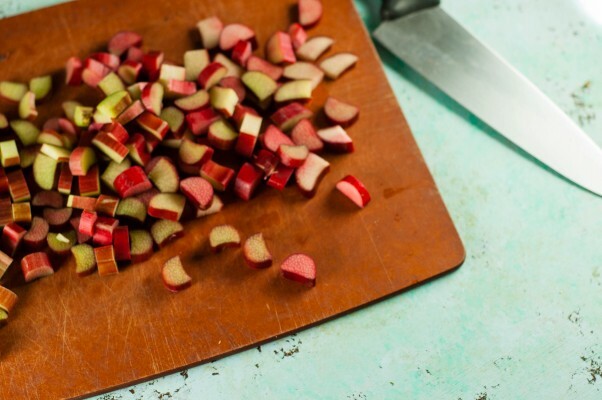 But there’s more to rhubarb than its sweet side. This is the time of year when I begin to get excited about salads again. Finally there’s a smattering of interesting vegetables in season. Crisp, peppery radishes, verdant asparagus, assorted tender leafy lettuces, like juicy claytonia. I’m no longer limited to the handful of salads I make through the winter. But the bounty of summer produce hasn’t quite arrived yet. There are not yet in-season tomatoes with their bright acidity, no fresh-from-the-garden cucumbers with their watery crunch. We need some creativity to bring zing and texture to spring salads. 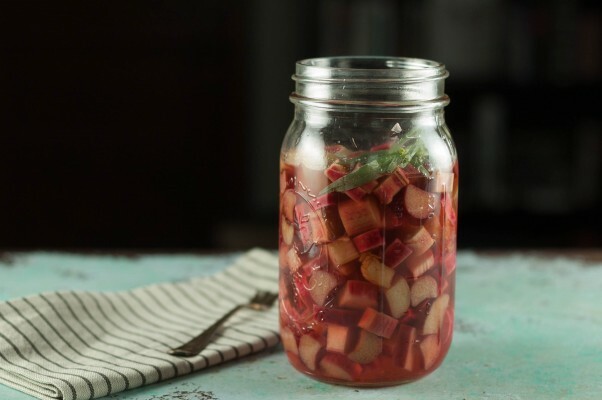 Pickled rhubarb is one way to do that. Rather than playing down the tartness and crunchiness inherent in those bright pink stalks, pickling plays those qualities up. And really, it’s such a cinch to make. 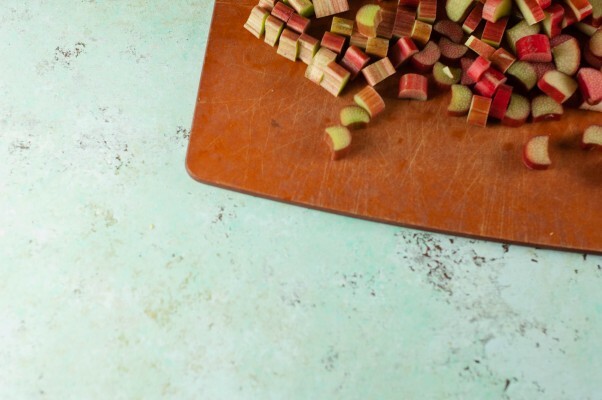 Just chop some rhubarb and put it in a big bowl, heat some champagne vinegar and sugar with, if you feel like it, a couple of sprigs of tarragon or some slices of ginger or a stalk of lemongrass, pour the liquid over the rhubarb and let everything cool to room temperature and then store in the refrigerator. It takes about five minutes of active time, and you have a jar of lovely, puckery, ruby-colored pickles. They’re lovely in a simple salad with greens and some kind of soft cheese–goat cheese if that’s your thing or something like feta or fresh ricotta or gorgonzola dolce if you’d rather go the sheep or cow route–and then whatever other springtime vegetables you like (fresh peas, thinly sliced radishes, grilled asparagus). If you’re feeling fancy, you could top the whole thing with a poached egg. The acidity of the pickled rhubarb brightens up the whole thing. 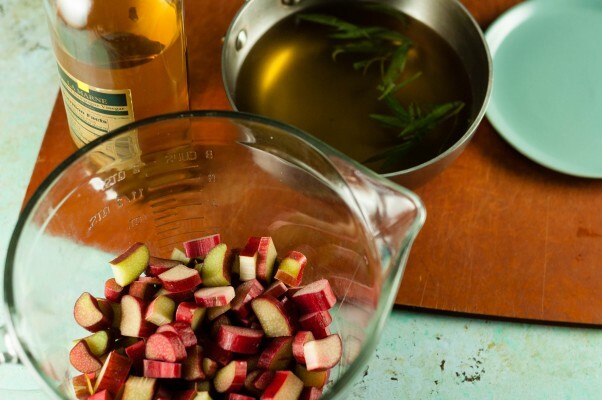 You can even mix the pickling liquid with some olive oil for a rhubarb-infused vinaigrette. And you don’t have to stop at salad. 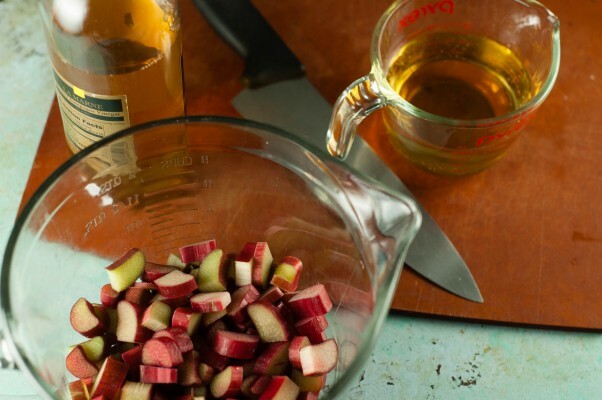 Stephanie Izard uses pickled rhubarb in a rhubarb chimichurri and even in muffins. They’d be great as a condiment on a taco or something like huevos rancheros. They’d be nice on a cheese plate. Last week at the Green City Market I saw chef David Dworshak of Takito Kitchen add them to an asparagus-based poutine. So I’m saying they’re versatile. They’re easy. They’re tart and crisp and delicious. These are simple refrigerator pickles that only take a few minutes of active time to make. They’re tart and a bit crunchy. 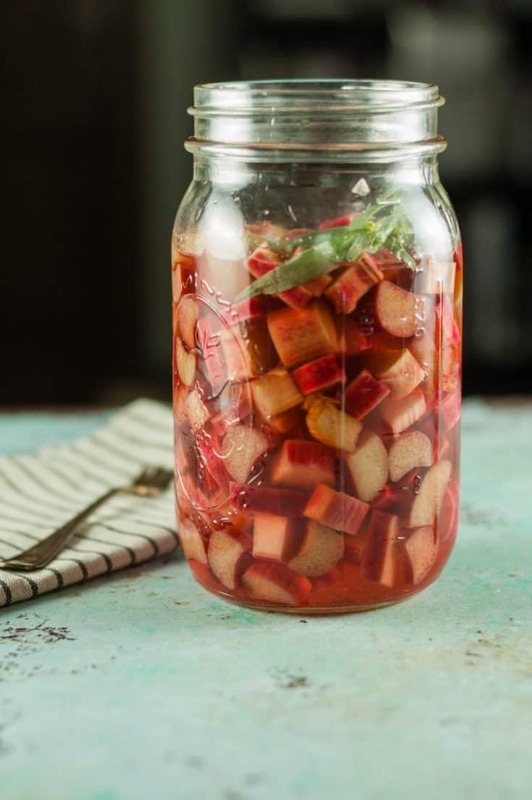 It’s easy to take rhubarb from crisp to soft, and I think these are better with more of rhubarb’s raw texture, so I like to let the pickling liquid cool slightly before pouring it over the rhubarb. This is a very flexible recipe. I make them with champagne vinegar, but any vinegar on the paler side of the spectrum would be good (rice vinegar, apple cider vinegar, white balsamic). 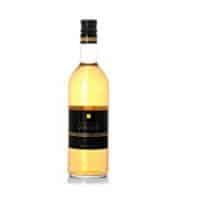 You can add different aromatics if you like. I used tarragon here, but lemongrass or ginger would be a natural fit with rhubarb, as would a spice like star anise. 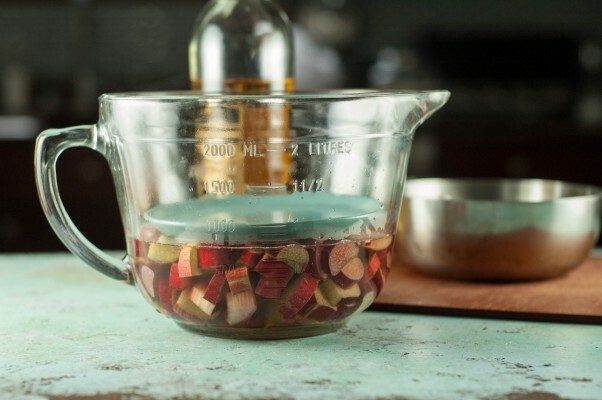 Place the sliced rhubarb in a heat-safe mixing bowl (glass or stainless steel is preferable to plastic for this). 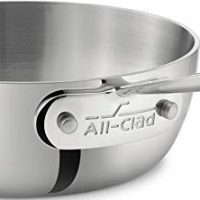 Heat the champagne vinegar and sugar in a small saucepan over medium-high heat until the sugar has dissolved. Add the tarragon. Remove from heat and let cool for about a minute. Pour over the rhubarb. Cover with a plate or a pot lid or a piece of parchment paper to keep the rhubarb fully submerged in the liquid. Let cool to room temperature. 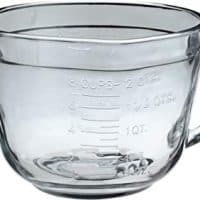 Transfer to a jar and store in the refrigerator. Keeps for several weeks, at least.